Citadel Commerce, also known as ‘Instant Banking by Citadel’, is a company that provides online banking and money transfers for its customers. The company was founded in 2000 and is headquartered in London, UK. Citadel Commerce is a subsidiary of Entertainment Systems Inc (ESI). It offers a variety of products but mainly deals with international instant bank transfers. Today Citadel Commerce is servicing many online betting websites in providing a safe and anonymous payment method for their players. The company is active in numerous countries around the globe and supports many currencies including, but not limited to : USD, CAD, EUR, GBP, JPY. Service Fees Citadel does not charge any service fees. The way this service works is indicated by its name ‘Instant Banking’. Citadel uses the local interface of the user’s bank to make the transaction. After opting for the Citadel payment method the consumer has to choose their bank, login with their bank UserID and password and confirm the payment. It takes no more than a few minutes to complete the payment. Perhaps, you are wondering why using this payment method would be a better option for you. The answer to this question is very simple as it will deliver you with the desired levels of security and privacy which makes it worth your while. The whole process is really simple and you are highly unlikely to have any troubles if you decide to make a deposit to the preferred virtual casino via the method. This particular payment solution follows the well-known online banking mechanism that is exploited quite successfully due to the fact that gambling enthusiasts are given the opportunity to transfer their funds from their bank account to their casino account in no time. What the company does, however, is to play the role of a middleman for which it gets small fees. Perhaps, one of its biggest assets is that players are not required to provide their personal and banking information when they wish to top up their casino account as the payment is wrapped up entirely by the bank you are using the services of. Citadel Commerce is available in nearly 30 countries, including US, Canada, Japan, Australia and many EU member states. It is partnered with over 200 of the world’s largest banks maintaining a vast network worldwide. Furthermore Citadel also supports the currencies of all countries where it is conducts business. After you have found an interactive casino that best fits your preferences and personal demands, you can proceed to load cash into your casino account which will happen in a matter of minutes. For beginners, you should log into your casino account and go to the cashier. In this section, you will find a list of the payment methods the casino operator accepts. 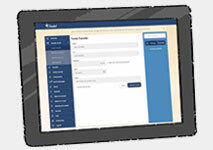 In some cases, you may need to click on “instant banking” first and then to select Citadel. Sometimes, the payment solution may appear right upon opening the page. No matter what the case is, you will not encounter any troubles to find this information. Once you have selected Instant Banking by Citadel as your preferred payment method, you will need to pick one of the means to make a deposit. 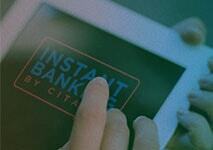 Making a payment through Instant Banking by Citadel is made simple and easy to understand. The customer has 3 possible means to do this. One way is by choosing to download and install a ‘payment assistant’ application, which will guide the customer as they prepare everything necessary to make a purchase or transfer. The second way is through Citadel’s website which will generate an automated payment procedure which then works through the customer’s online banking account. The third method is to go for the ‘Rapid’ system which generates a reference number and bank details, using which the transaction can be manually wrapped up by the customer using their own online banking means. What connects all three methods is that the customer pays through his/her bank account in any given scenario and the transfers are completed instantly. It does not matter which of the means you will go for due to the fact that in all cases, you will eventually use your internet banking account. Still, the procedure you need to follow after you have opted for this particular payment method will overlap, so you should not worry about this as well. It is worth noting that some casino operators may offer all three options at the same time or only some of them. Still, this is casino specific and you should check this in advance. Whether or not you will be able to make use of a particular means of making a deposit via Instant Banking by Citadel will also depend on the bank you are using the services of as well as on your country of residence. Still, no matter which of the procedures you will go for, in the first place, you will need to pick one of the banks the company works with. In fact, the list of the financial institutions the company works with is quite comprehensive, meaning that your chances not to find your bank on the list are very slim. The next thing you need to do is to confirm the transaction. 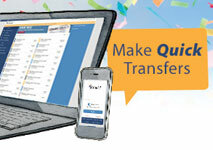 In order to do so, you should log into your online banking account and select the amount you wish to transfer. At the moment, it may seem to you that the whole procedure is quite burdensome and time-consuming. Yet, it only seems to you like that as you need to follow some quite simple steps in order to wrap up transactions via Instant Banking by Citadel which does not take more than only a few minutes. After you have done all these, the transaction will be processed and your funds will be available in a matter of a few minutes, thus giving you the chance to start placing real-money bets on your favorite casino games almost right away. eChecks are an excellent way to top up your Citadel account. They are fast, reliable and will be familiar for anyone who has ever written a paper check. It must be noted however that to have your funds immediately available when depositing via eCheck, Citadel will charge you a 6,9% fee. Otherwise you have to wait 3-5 business day for the check to clear. Also any funds made instantly available can only be withdrawn after 5 business days. This may be an inconvenience to some players. Online Banking is available to all consumers residing in Canada, the UK, France, Spain or Germany. To top up one’s myCitadel Wallet one simply needs to provide their myCitadel Wallet information to their bank. The funds should become available within 3-5 business days. Secure Swipe is the best service where value and efficiency are concerned. The service is entirely free of charge and the funds are made immediately available. The whole process is as simple as swiping your card and entering your PIN. Before choosing Citadel as the transaction method for withdrawing winnings, players should first contact a representative of the casino to find out if cashing out this way is possible at all. If that is the case, it should be taken into account that withdrawing with Citadel is not an instant process and some fees may be deducted as well. Still, if you have registered with an interactive casino that allows you to retrieve your winnings via the service you will need to stick roughly to the same steps you needed to follow when you were funding your account. Once again you should head to the payment page and to enter the amount you wish to cash out. Then, you simply need to select Instant Banking by Citadel as your payment solution of choice and to submit a request that will remain pending for some time due to the fact that you should go through a verification procedure when you are initiating a withdrawal for the first time. After this is done, your winnings will be transferred to your bank account. As previously stated, retrieving your funds via this particular payment method may not be the perfect option for you due to the fact that in most cases, such transactions are non-instant which means that you may need to wait longer than you wish to get your winnings. In addition to this, certain fees may also be charged which will not appeal to a large number of the gamblers, especially to those who are cost-conscious. That is why it is advised to acquaint yourself with the fine print so that you could make up your mind whether you wish to use the service when initiating a withdrawal or you will look for an alternative. Unlike other online payment services Citadel does not charge its clients for using their service, making it an attractive option for budged-oriented users. However there is a $1500 limit for transactions each 7 days. Depending on how much you use their services this limit may be increased. Only 3 external transfers are allowed per day, while the monthly limit is 10. Alternatively 10,000$ is the highest daily limit on external transfers, with the monthly going up to 40,000$. It is worth noting that with Instant Banking by Citadel you can also increase your spending limit. This will happen automatically as long as you manage to maintain a good payment history via the service. This, on the other hand, makes the payment method suitable for high-rollers who sometimes may face certain problems when they wish to transfer higher amounts of money to the balance of their casino account. 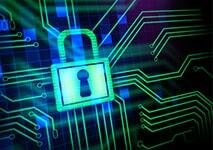 Citadel has gone to great lengths to ensure that the data of consumers does not become compromised. As a starter they keep no records of the banking credentials of their consumers. That way even if someone were to infiltrate their servers, they would not find anything that could hurt consumers in the long run. Any communication between Citadel and their customers is heavily encrypted to protect sensitive data from being leaked. Furthermore Citadel is regulated by the same policies that banks and other financial institutions are legally required to follow, such a the Know Your Customer (KYC) regulations. When transferring money with Citadel all Internet traffic goes through your bank, in other words through the highest security, so that there is no chance whatsoever for fraudulent actions. Using Instant Banking by Citadel allows the player to make secure payments and deposits to online gambling sites through their system without needing to reveal their personal information or banking credentials to the casino which is undoubtedly a great asset for gambling enthusiasts who wish to remain anonymous during their betting session. This also limits the potential for any misuses and fraudulent activities as in practice, payments through the method are finalized by the bank you are using the services of which means that the casino operator will not have access to your sensitive information at all. What is more, this also means that you will be presented with the highest levels of security as banks use encryption technologies that are on par with the highest standards. This, on the other hand, will give you the chance to enjoy your gaming session to the fullest without being plagued by security issues. This is a tactic that attracts many privacy-conscious players and one that is supported by the casino owners themselves. One more undeniable advantage of the payment service is that deposits via Citadel are instantaneous which explains why it is so well-liked. In essence, payments via the method are wrapped up in no time, which is definitely good news for gambling enthusiasts who are eager to start placing their bets at the preferred virtual casino. In fact, this is one of the features that set Instant Banking by Citadel apart from many of the other payment options you are presented with. There are no obligations on the customer’s side when using Citadel. No account is required to use the service, as long as the customer has an account at one of Citadel’s partner banks. Perhaps, one of the things that make the payment service so appealing is that it is extremely easy to use as you are not required to set up and to fund an account in order to exploit it. You simply need to log into your online banking account using your credentials and to confirm the amount you wish to transfer and nothing more than that. In addition to this, the company works with a large number of banks which means that there is a good chance that your bank is also on the list of the financial institutions. In fact, the company cooperates with more than 300 of the major such institutions which shows that it strives to keep its customers covered. It is also worth your attention to know that Instant Banking with Citadel is completely free of charge and it will not cost you a dime to use their services. Nevertheless, avid casino fans should bear in mind that their bank may charge certain fees. The same goes for some of the casino operators as they can also burden you with some charges and additional fees when utilizing this particular payment method. Citadel has also created mobile applications for iOS and Android users. The apps allow players to charge or manage their accounts on the go. Judging from reviews by users, the app has all the functionality of the desktop variant. The app also makes use of fingerprint recognition on devices that support it for extra security. One more thing that is worth considering about Instant banking by Citadel is that gamblers are allowed to make payments in a currency that is different from their local one. If the casino operator does not accept your local currency this will not mean that you will not have the chance to wager at all. The amount you wish to transfer to your casino account will be converted to the supported currency and it is as easy as that. Withdrawing your winnings from a casino may not go as smoothly as depositing, however. For the transfer to clear it may take several days and certain fees may apply, if at all possible. It is advisable to consult with a casino representative about what the best possible means to withdraw your winnings might be. Furthermore, while Instant Banking with Citadel has no inherent charge, some banks may charge you for using their interface to pay with Citadel. That is why it is always a good idea to acquaint yourself with the fine print in order to make sure that you will not be unpleasantly surprised at the end. Even though the company provides its services in a wide array of countries, it may turn out that it is not available in the country you reside in. Citadel currently supports US, Canada, Japan, Australia and most EU member states. In some cases, the service may be available in your country of residence, but the bank you are using the services of may not be part of Citadel’s network which will force you to look for alternatives. Citadel Internet Banking might not be supported in your country. Citadel currently supports US, Canada, Japan, Australia and most EU member states. Instant Banking by Citadel is an ideal solution for anyone who is weary about sharing their own personal data and banking credentials with third parties. 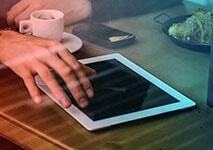 By using Citadel the consumer can enjoy guaranteed anonymity and secure transactions. Furthermore the players never reveal their banking login and password and are able to monitor their transaction history with Citadel. With that said it needs to be acknowledged that Citadel is not ideal for gamblers playing with large sums of money considering its monthly limit of 40,000$ for external transactions.